First of all, I would like to thank you for letting us take this interview from you. A first thing we wanted to know: How did you ‘fall’ into the whisky business ? Euan: I was born into it! My family have been around this business for a long time as Millers, Distillers etc. So, does that mean your current job at Duncan Taylor isn’t your first ‘whisky job’? 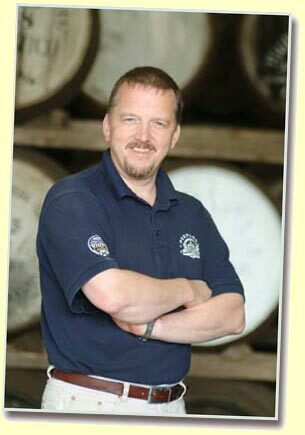 Euan: I started off as a Cooper and warehouseman a long long time ago at Glendronach Distillery and moved on through all departments, Mashing, Distilling, Cask Stock Room even a Tour Guide over a 6 year period at Wm Teacher and Sons Ltd culminating in my move to the Sales Dept at their headquarters in St Enoch Square in Glasgow. Yes its long enough ago that I turned malt on the original floors at Glendronach. As part of my training I spent 9 months at Ardmore Distillery. Euan: The business was offered to me by the Executors of a Family estate in New York and I was stunned by the diversity of whiskies on offer and the incredible quality. I just had to buy the company! Euan: The guys name was Abe Rosenberg not Duncan Taylor. Abe was an entrepreneurial whisky man who built J & B Whisky in the US. Duncan Taylor and Co Ltd was a company that he bought as an investment vehicle and also a “hobby” that he made money from. Another fellow maniac was curious about your ‘Lonach‘ series. He told us it consists of vattings of under strength casks with stronger variants in order to get the ‘vatting’ above 40%, in order to be legally called whisky. Is that correct? Euan: Originally it was released as a vatting of casks that had gone under-strength with casks that are over-strength. Now it is no longer that, as we have no casks under-strength anymore. It’s a brand in its own right and is available in various markets. Euan: Because I was a Distiller before I became an Independent and I’m going back to my roots. Euan: Find me one and I’ll buy it!! There are none for sale!! OK maybe one that I know of! Aha! Which one would that be – which distillery was ‘maybe’ for sale? We’ve a good few years under our belts yet! We have heard it is going to be a ‘green’ distillery, can you please explain? Euan: It will be entirely “Green”, fired by Woodchip and utilising many environmentally friendly materials including complex effluent regeneration equipment. Excuse our ignorance, but wouldn’t solar power or wind power be ‘greener’ than burning wood chips? However, I havent seen the sun out of my window for 6 months. Wind would be great too, I can imagine a 60 metre high windmill in the middle of Huntly, errr whats the planning departments number…………………..
And have you already thought about ‘wood management’ at Huntley? Euan: A real Highland cause I’m fed up of all this hype about Port Ellen and Ardbeg and Islay. Give me a robust Highland any day! Thanks very much for letting us have this interview.